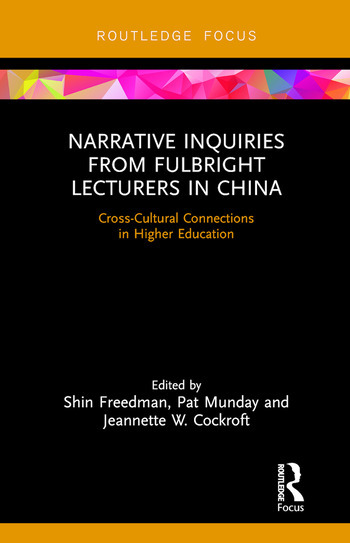 This collection of nine Fulbright educators’ narrative accounts examines how these scholars navigated their teaching responsibilities with students, time with fellow colleagues, and cultural expectations in China, ranging from experience in teaching arts and government to questions of religion, emotional literacy, and urban infrastructure. With these contributions, authors analyze their own expectations against their actual experiences, in order to offer insights for scholars and students of study abroad programming. As a roadmap for negotiating China’s higher education network, and for taking advantage of any cross-cultural educational environment, this book highlights the type of fruitful educational programming that can come from cultural, historical, economic and political difference. Shin Freedman is Head of Scholarly Resources & Collections of Whittemore Library at Framingham State University and is Professor of Communication Studies at Framingham State University, USA. Patrick Munday is Professor of Science and Technology Studies at Montana Tech, USA.